Do you know and keep in touch with someone living interstate or overseas? And just how do you do this? Imagine you have a loved one living overseas, which i’m sure many of you can relate to. And imagine if they or you needed to speak to each other and discuss a personal issue. Would you write a letter? A post card? Because if you did it would take months just to have a conversation. “ Social media plays a big role in maintaining long distance romantic relationships. It is also the primary reason why these relationships are becoming a lot more common” according Big Think, Natalie Shoemaker. This creates a sense of closeness between both members in the relationship. This is why my sister and boyfriend can maintain their long distance relationship. And way many other long distance relationships can first be established and maintained. Reasons. My 83 year old Grandmother has one surviving relative besides her husband and children. She lives on the other side of the world in Wales. She is 88 years old and has been desperately ill of late. My grandmother feels close to her still and can provide advice and support cheaply with the aid of social media. Without it, they would both feel isolated from each other. Again, social media is used as a device to create a sense of cohesion to those who are geographically distanced. I personally have seen my own grandmother’s relationship develop with her sister living in Wales over the past few years due to the more frequent interaction that now occurs. I’ve noticed how they exchange personal and daily context about their lives. Whenever she speaks of her sister, she now speaks with a tone of glee and satisfaction which she previously wouldn’t have due to a lack of closeness and connection. Thus there was a feeling of isolation without their frequent interaction that social media provides. In another article written by Lindsay Burgess from Hellogiggles, Burgess discusses how her partner and herself “use snapchat (a form of social media) to share the everyday moments they used to have in common. The cohesion that social media creates is beneficial for all types of relationships. Online.liebertpub.com. (2017). The Use of Social Networking Sites for Relationship Maintenance in Long-Distance and Geographically Close Romantic Relationships | Abstract. [online] Available at: http://online.liebertpub.com/doi/abs/10.1089/cyber.2014.0469?journalCode=cyber [Accessed 10 Nov. 2017]. Shoemaker, N. (2017). Social Media Plays a Big Role in Long-Distance Relationships. [online] Big Think. Available at: http://bigthink.com/ideafeed/social-media-plays-a-big-role-in-long-distance-relationships [Accessed 10 Nov. 2017]. This entry was posted in Uncategorized by philoliveti. Bookmark the permalink. While reading this blog I liked how Harry started writing about how social media affects his family and why it has had a major impact on them all, especially since he doesn’t live close to his grandmother. As soon as I start reading this I can tell that the author’s family have very big connections with each other and through social media it makes that connection way easier, for example when he started talking about his sister and her boyfriend straight away I could tell it would be hard to maintain a distanced relationship for almost a year, but with social media (face time) it brings that connection closer. 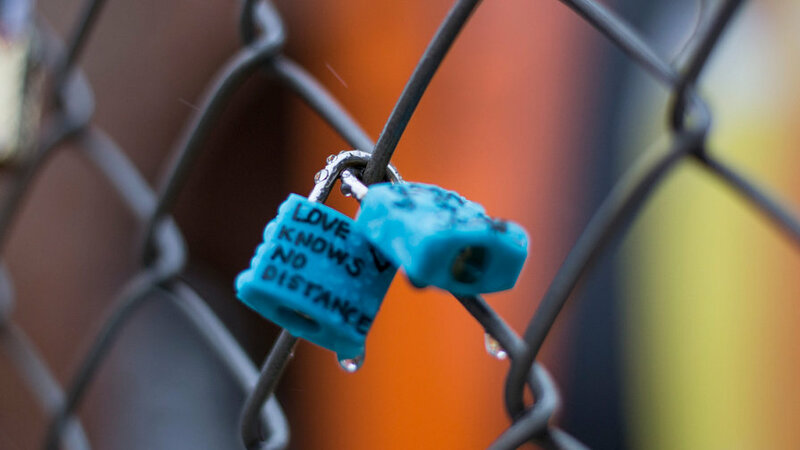 I also loved the photo he placed in the blog, because it showed two locks with one of them saying Love Knows No Distance. Placing that photo in the blog was a good way to show that you can still love people important to you through social media.